Shop our selection of Express Deals! Ends May 12th. 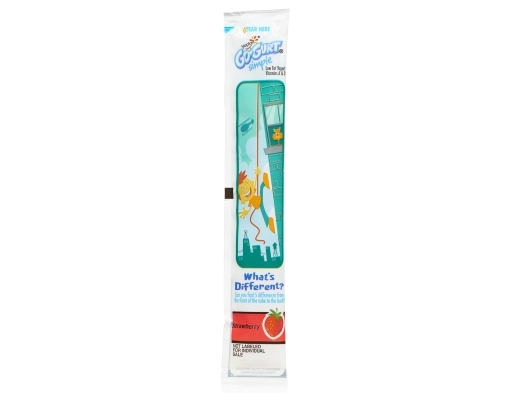 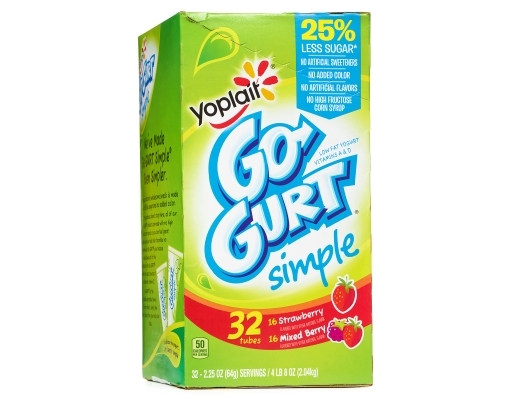 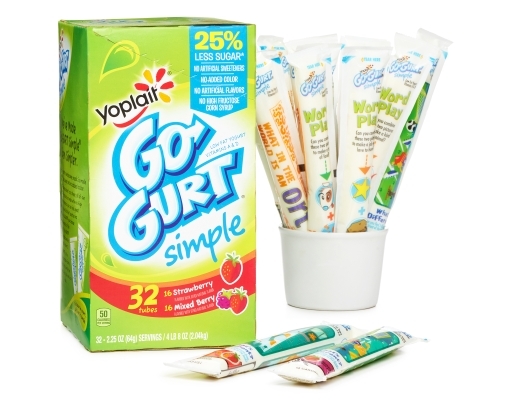 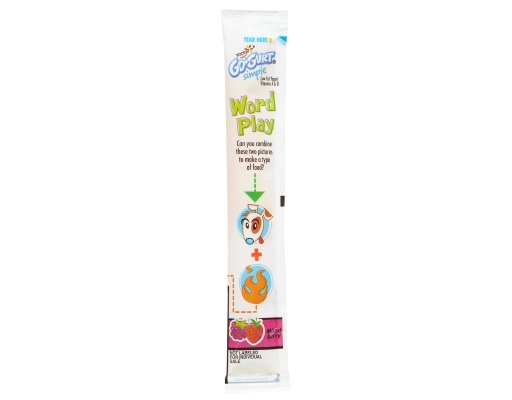 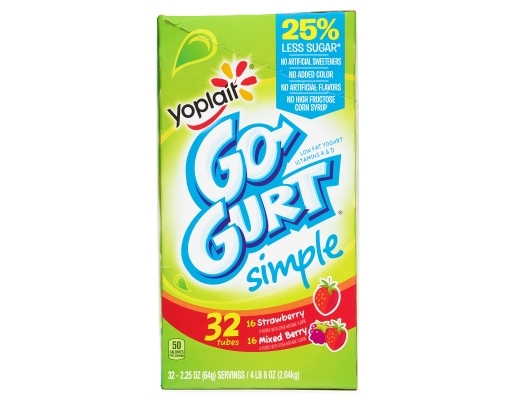 The first-ever yogurt in a tube, GO-GURT Portable Lowfat Yogurt makes on-the-go snacking slurpably fun. 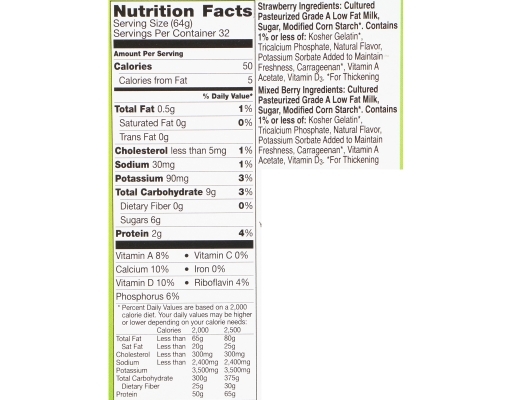 Strawberry Ingredients: Cultured Pasteurized Grade A Low Fat Milk, Sugar, Modified Corn Starch*. 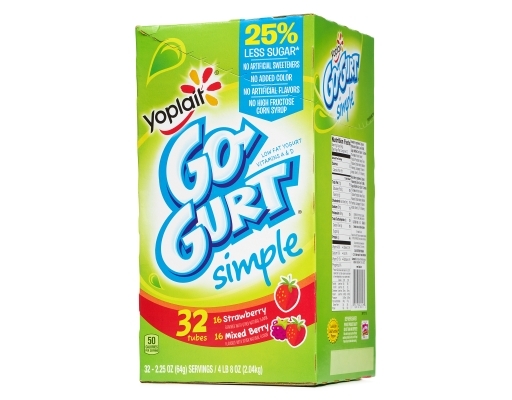 Contains less than 2% of: Kosher Gelatin*, Incalcium Phosphate, Vegetable Juice (for color), Natural Flavor, Potassium Sorbate (added to maintain freshness), Carrageenan*, Vitamin A Acetate, Vitamin D3. 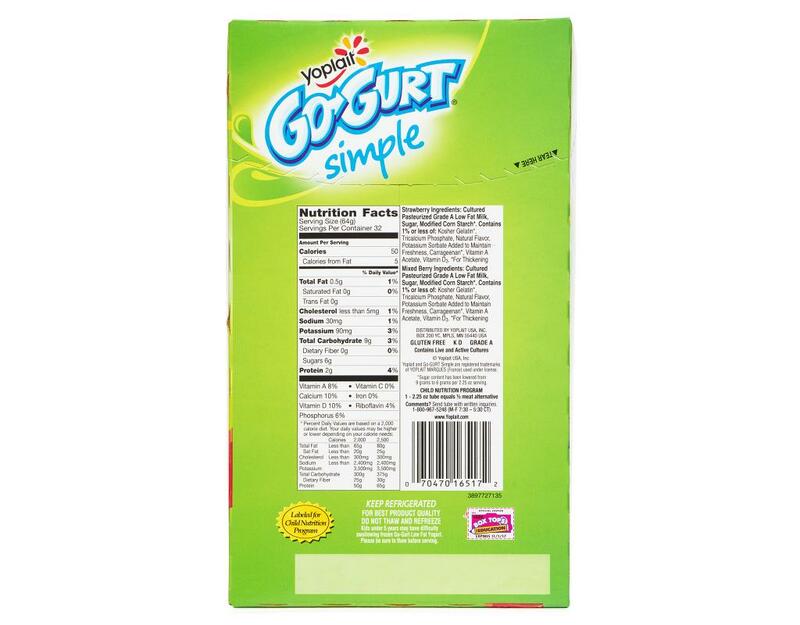 *For Thickening. 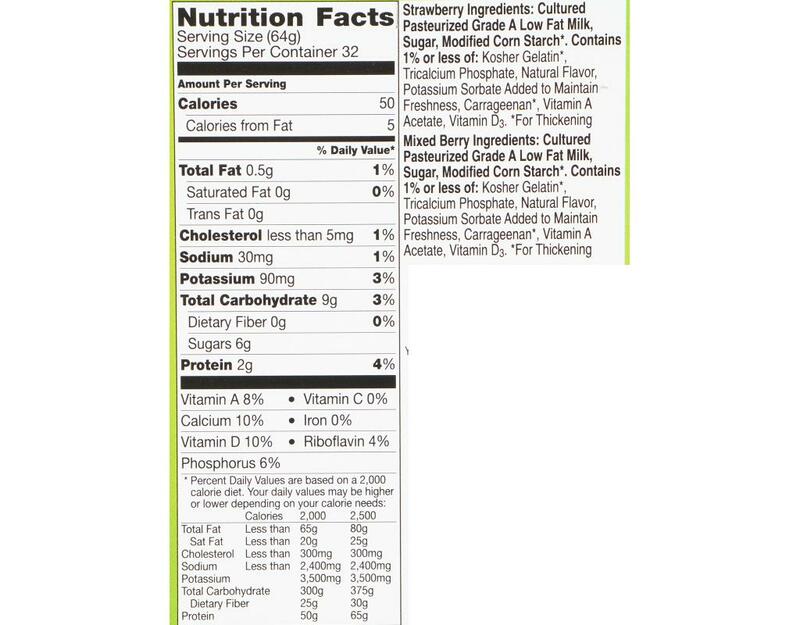 Berry Ingredients: Cultured Pasteurized Grade A Low Fat Milk, Sugar, Modified Corn Starch*. 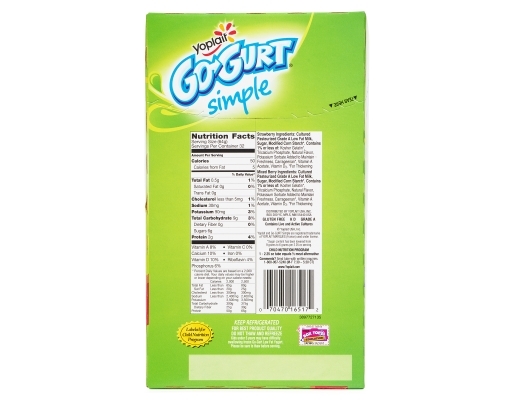 Contains less than 2% of: Kosher Gelatin*, Incalcium Phosphate, Vegetable and Fruit Juice (for color) Potassium Sorbate (added to maintain freshness), Natural Flavor, Carrageenan*, Vitamin A Acetate, Vitamin D3. 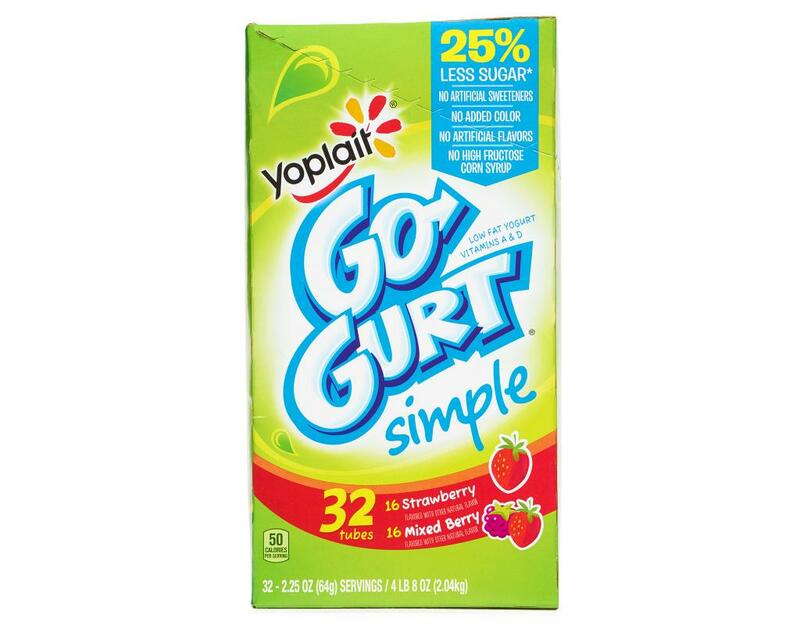 *For Thickening.